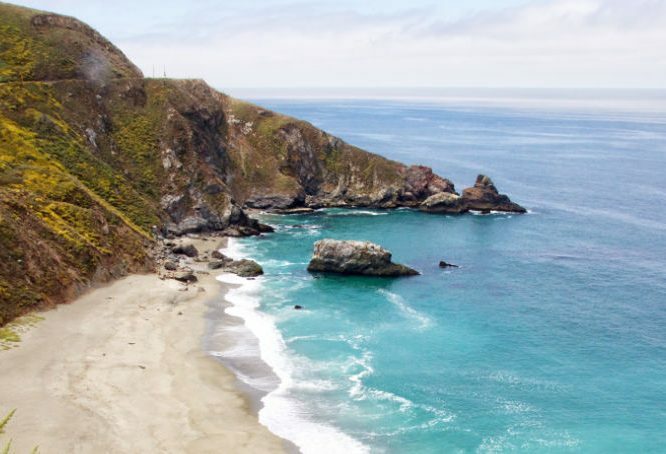 Buckle up for our list of the most epic places to campervan in the United States. We really had to dig deep for this one! We pored over all our favorite trips to come up with our top 10 places, and we’re so excited to share it! 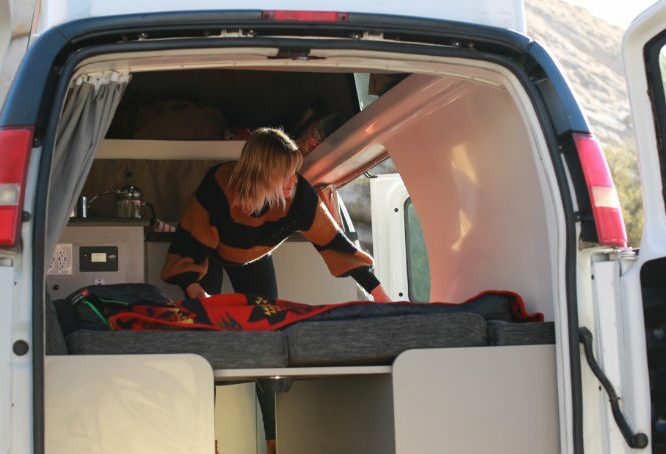 So pack your bags, book one of our deluxe campervans at our Los Angeles, San Francisco, or Las Vegas location and hit the road—here are the top 10 places to campervan or RV in the western United States! You might shy away from our first pick given its name, but believe us—the views are spectacular. 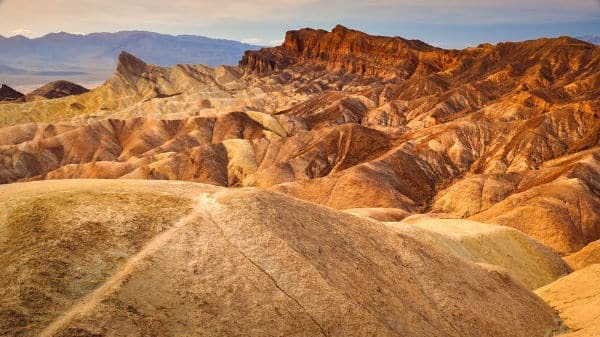 Death Valley National Park (DVNP), in southeastern Nevada near the California border, is home to 3.4 million acres of desert and mountainside. While its name may seem to accurately describe its ghost-town qualities and lack of vegetation, it is actually home to several stark contrasts. While Death Valley can see some of the driest, hottest summers on earth, towering peaks are frosted with snow during the winter months and the occasional rainstorm can produce an abundance of wildflowers in the spring. But be forewarned: We’ve heard from some of our fellow campers that DVNP accommodations tend to sell out frequently, so be sure to make a reservation well in advance. The next stop on our list is probably no surprise. Yosemite National Park, located in the Sierra Mountains of northeast California, is one of the most well-known and desired travel destinations in the United States. Its unparalleled landscapes span a distance of 1200 miles. 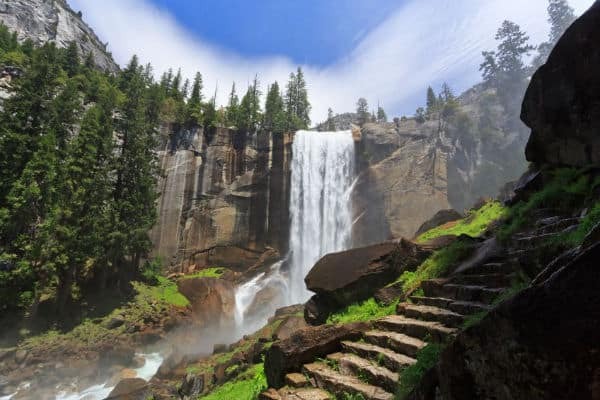 From hiking its deep valleys, lush meadows, and jaw dropping waterfalls to photographing its massive sequoia trees and seemingly endless wilderness, Yosemite is nature at its best! Our next stop is Crater Lake in south-central Oregon. Crater Lake packs a pretty big punch in both scenery and history. 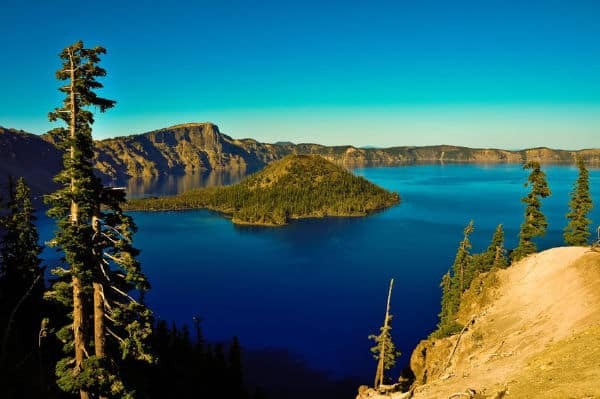 Over 7,000 years ago, Native Americans witnessed the violent eruption that resulted in the formation of Crater Lake. The park showcases the beautiful Cascade Mountain Range, as well as its namesake—the biggest lake in the United States, with a breathtaking shade of deep blue. Note that camping is only available a few months out of the year, as conditions are too unforgiving the remainder of the year; snowfall begins in September. 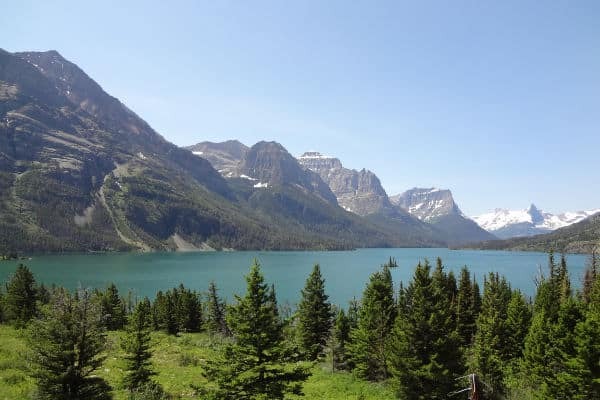 Next on our list is Glacier National Park (GNP), near the northernmost section of western Montana. Glacier National Park is 1,583 square miles of wilderness located in Montana’s Rocky Mountains. This park features ice-covered peaks, valleys that span all the way to the Canadian border, and the must-see Lake McDonald. If you’re a hiker, be sure to take your gear because this park offers more than 700 miles of trails. Don’t forget your camera either—the hiking paths include a route to Hidden Lake, one of the most photogenic spots you’ll experience in your travels. Are you an animal lover? Great! GNP is home to a diverse range of wildlife that includes 14 large and 50 small mammal species. Be sure to check out Going to the Sun Road. This epic scenic drive spans 50 miles and crosses the Continental Divide. Check the current road status before you start your trek. Going to the Sun Road is usually closed through the winter months. Heading southeast will bring you to our next top pick, Mount Rushmore. This monumental mountainside sculpture lies in the Black Hills region of southwest South Dakota. 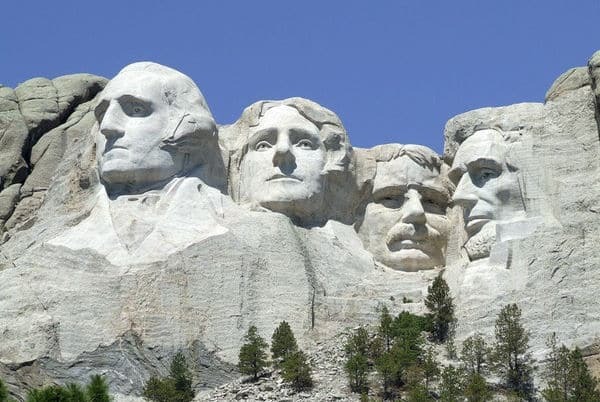 This massive piece of artwork depicts four of our former American presidents: George Washington, Thomas Jefferson, Theodore Roosevelt, and Abraham Lincoln. Whether or not you are a history buff, a list of the best places to camp in the US wouldn’t be complete without paying homage to this shrine of our democracy. It is truly a wonder to behold that should be added to every traveler’s bucket-list. While there isn’t camping within the memorial park itself, there is room for your Travellers Autobarn campervan just outside in the nearby Black Hills or Badlands areas. The next stop on our list is Yellowstone National Park. Located in the northwest corner of Wyoming, Yellowstone is the world’s first national park. 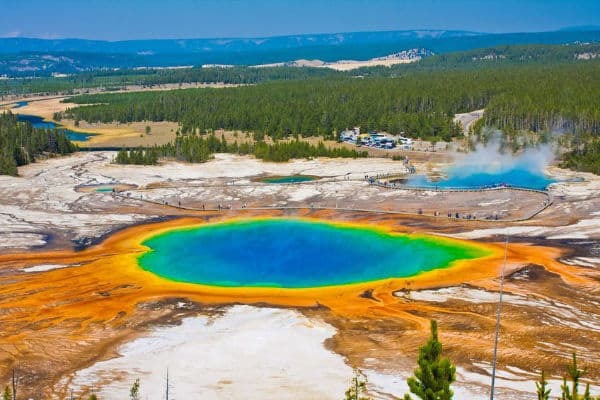 Unlike any of the other spots on this list, Yellowstone features numerous colorful hot springs, geysers, and mud pots, thanks to the volcanic power, stirring underneath its 3,500 square miles of bedrock. You may have heard of the most famous of these—Old Faithful, a cone geyser that erupts every 44 to 125 minutes. At Yellowstone, you can trek through the lush forests, hike across the mountains, or sit and relax beside the lakes. And you’re sure to see some of the large number of wildlife that live there including bears, wolves, and bison. We hope you have your skis packed for our next stop—Alta Lakes in Telluride, Colorado. 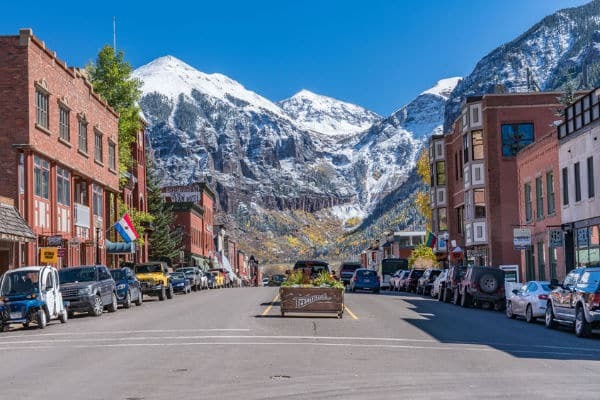 Located in southwest Colorado and on the opposite side of the Telluride Ski Resort, Alta Lakes provides a superb elevated location for your campervan excursion. And it’s actually an ideal destination whether you’re traveling in the summer or winter. Shift into low gear and get ready to do some lake hiking and sightseeing around the Alta Lakes Ghost Town historic structures. Plus you’ll see firsthand some of the most beautiful alpine views of your life! 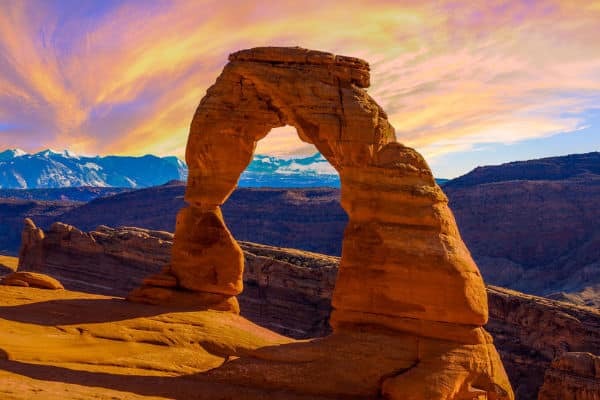 If you’re a fan of contrasting colors, textures, and varying landscapes you’ll love number 8 on our list: Arches National Park. This park spans over 76,000 acres and, just as its name suggests, features more than 2,000 natural sandstone arches, pinnacles, fins, and boulders. In addition to the mesmerizing red rock formations, you can also enjoy hiking trails or take in one of the most beautiful sunsets you will ever see! Be sure to stop by their visitor center which features exhibits and interactive, educational kiosks, an auditorium, and a gift shop where you can purchase mementos of your trip. Rounding out our list of the top 10 places to campervan in the US—and ending very close to where we began—are two stops in Arizona. The first is one of the seven natural wonders of the world and a must-see for everyone at least once in their lifetime. It’s Grand Canyon National Park in Arizona. The Grand Canyon is a massive gorge characterized by layers of red rock bands revealing millions of years of geological history. 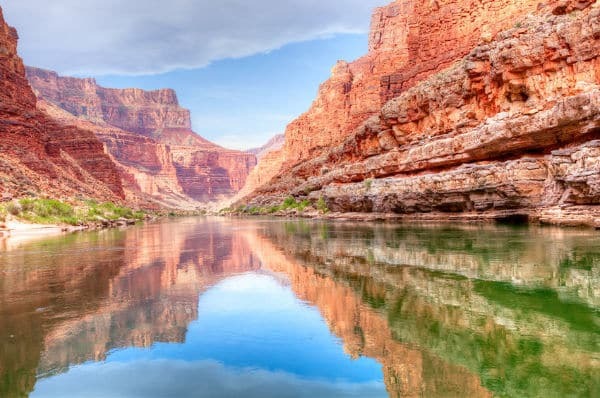 Historians believe the Grand Canyon dates back over 10,000 years to the first evidence of humanity in the area. Native Americans are believed to have been the first inhabitants of the area, dating back at least 4,000 years. Within the park itself are a number of outstanding viewpoints to experience the canyon, including Mather Point, Yavapai Observation Station, Desert View Watchtower, and Lipan Point. Pro Tip: Make sure to plan your visit around sunrise or sunset so you can take in the absolute best version of this amazing part of our natural history. Last but not least, why not plan a little weekend getaway to Sedona? Rancho Sedona RV Park offers a peaceful, relaxing stay. Sit back and put your feet up under the shade of a sycamore tree while you take in spectacular views of the clay-colored mountains. There are plenty of opportunities for biking, hiking, fishing, or swimming in the creek (during the summer months). 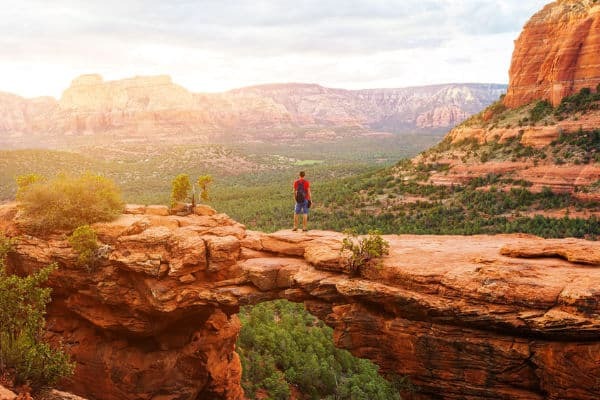 We suggest making a detour to the nearby Devils Bridge Trail while you’re in the area. Devils Bridge is the largest natural sandstone arch located in the Sedona area of the Coconino National Forest. It’s 4 miles long, considered moderately difficult, and features enchanting wildflowers and incredible views of the red rock countryside. Or, if you’re ready to get back to a bit of civilization, you’ll find shopping and restaurants close by. And for those of you who may have considered some of our other top picks to be “roughing it,” you’ll be happy to know that our last choice includes facilities, a laundromat, Wi-Fi, and cable TV. This wraps up our list of the top 10 places to campervan in the United States. We hope you’ll plan to visit some of these amazing locations. Better yet, why not make an epic road trip of it and hit all ten? You can pick up a Travellers Autobarn campervan at our Los Angeles, San Francisco, or Las Vegas location and set off on the trip of a lifetime! And again, a word of warning: always be sure to plan ahead. It can be fun to fly by the seat of your pants, but a little advance planning and some reservations will assure you that your trip goes off without a hitch. Some of the places on our list have limited or no camping at the actual destination, so you’ll want to research the surrounding campgrounds and plan accordingly. Happy trails!